Dynamic and inviting weight lifting class. We focus on Strength and the WOD (Workout of the Day). 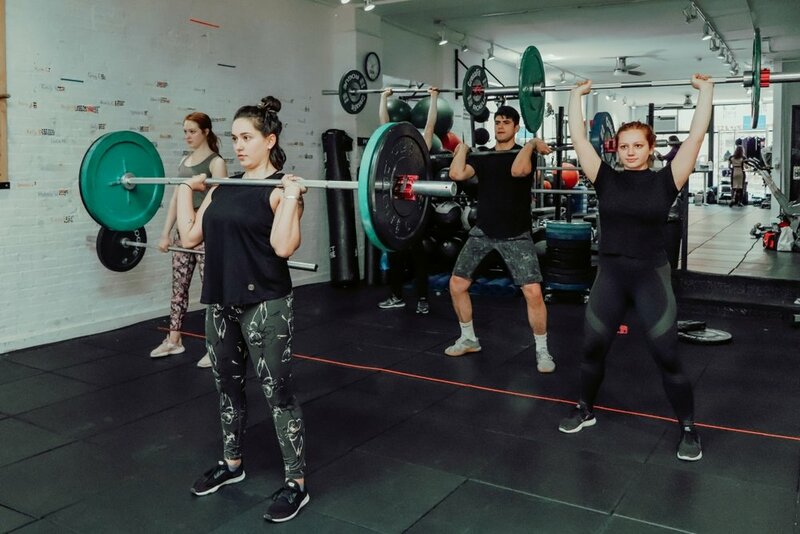 Superset is our dynamic and inviting weight lifting class. We focus on two main components: Strength and the WOD (Workout of the Day). Strength may include movements with barbells (deadlift, squat, clean and jerk, push press), kettlebells, dumbbells, and pull-up bar, with a focus on improving technique and lifting to a weight or volume that is challenging, yet achievable. The WOD may include box jumps, medicine balls, rower, pull-ups, and any other Strength movements. Although there are high-intensity intervals built into the WOD, this is NOT a HIIT class. If you are new to weight lifting, we recommend attending our Strength 101 class.